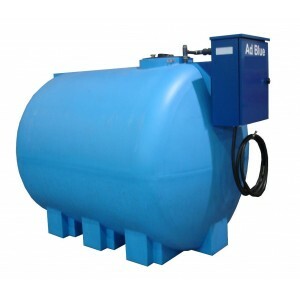 AdBlue tank with dispenser unit Capacity: 5000 lt. - horizontalDimensions : 174 x 260 x h. 180 cm / 185 Kg. Complete with : pump unit - flow rate 30 lt/min. 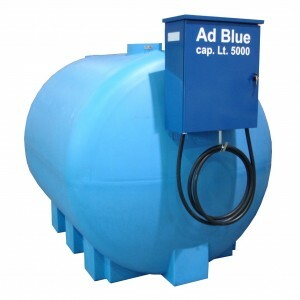 AdBlue tank with dispenser unit Capacity: 3000 lt. - horizontalDimensions : 150 x 220 x h. 180 cm / 138 Kg. Complete with : pump unit - flow rate 30 lt/min.